Early to bread, early to rise? Completely unrelated but I saw you're taking the Welsh course, are you Welsh too or just learning it? The early bird gets the sandwich! PS Thanks 4 contributing to make this Couse, Ash-Fred! after using that alot, my mom's laugh irl lit sounds like "ㅋ ㅋ ㅋ"
...bet you just tried it. I think duolingo is just thinking of whatever sentence to throw at us now. Like first the sentences were rational, and now a bed is food. Well, I see you're starting French. The French sentences are more ridiculous. When I read the sentence.I'm: WHAAAT?! I swear to God, Duolingo, you gotta lay off the weed from time to time. I'll have one large bed with extra fries, please. Pray for the digestive system of the people that believe this..
Just eat your bed like normal saram, Joseph. I love these sentences because they bring out so many rad comments. I think its more like a proverb where a bed gives you sleep that might be like a food which everyone requires. When you sleep, you can't feel the hunger. I'll never try to eat my bed. Thank you. oh yum, memory foam mattress is my favourite topping wbu? Oh, beds are the same, but Koreans have completely different digestive systems. Yes, the true ARMY way. Listen to BTS no matter what I'm doing. Unless I'm studying 'cause then I'd be dancing instead of learning about 30 seconds later. Of course, and i am Namjoon's wife. I see Mrs.Kim. Bangawoyo, I am Yoongi's wife. **Sorry for romanization, don't have a korean keybord. It could be referring to a bed of salad. I feel that kippers also come as a collective group known as a bed once served. Is it a way to say that, when you sleep, you forget that you're hungry? ... please don't eat my bed. is this from an episode of my strange addiction? No! A bed is NOT food! What the heck? umm...That's not food... TERE'S A PROBLEM. Who made all these sentences??? A very unusual small green owl. I always see these types of sentences and really start to second-guess my translation because it's that weird. But then I remember this is Duolingo. Why ''neun'' here and not ''ga'' ? What doese it mean ? 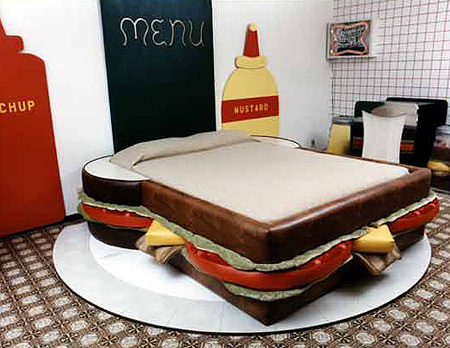 I love eating beds. It is my favourite food! I think there's a french saying that goes along the lines of it doesn't make much of a difference whether you go to bed or eat, meaning you'll forget that you're hungry when you go to sleep, maybe it's like that. Duolingo ... i trusted you !!!!! For the love of God. A bed is not food. Idk if this helps you or hurts you....... 뚜오... 왜? "oops that's not correct" is it though, duolingo? is it though? Surprise to see so many comments.. and yes, a bed is definitely not food. Is this the best examples you could come up with, Duolingo? I believe that this is a parody of a famous advertisement slogan "A bed is science," but no... unacceptable. That's so racist. Shame on you. god, that is so unashamedly racist. please apologize or delete your comment. Until now the only time I ever heard this was when Chinese people I met in China told me. Maybe they were racist? Really? "But sadly the truth"?